Around the world, vaccines are in retreat, shunned by populations who, for the most part, have never been exposed to the diseases that blighted or shortened the lives of their grandparents’ generation. But with the possible exception of quinine – for centuries the only treatment for malaria – and antibiotics, vaccines have saved more lives than any other intervention in medical history. This growing vaccine hesitancy is not confined to a particular religious or ethnic group or bounded by ideology, class or economic circumstance. Wealthy moms in Los Angeles are as likely to believe that the measles, mumps and rubella vaccine (MMR) causes autism (it doesn’t) as alternative types in Portland, Oregon. Orthodox Jews in Brooklyn are as prone to vaccine conspiracy theories as Muslims in Taliban-supporting areas of Pakistan and Afghanistan. Followers of Italy’s Five Star Movement are as likely to resist official vaccination advice as Green Party types living in Brighton and other environmentally conscious towns in southern England. Meanwhile, measles has returned with a vengeance. Last year saw nearly 83,000 cases of measles across Europe – triple the 2017 number. Little wonder the World Health Organisation (WHO) has described vaccine hesitancy as one of the top ten threats the world faces in 2019. Although it is difficult to gauge the impact of Facebook and Google on all this, the suspicion is that Web 2.0 has skewed the game heavily in favour of anti-vaxxers. For instance, a recent Guardian investigation found that the top 12 Facebook groups returned by a search for “vaccination” were all anti-vaccine. Some, like the Vaccination Re-education Discussion Forum are easy to spot. Others groups, like the National Vaccine Information Center (NVIC), declare that its mission is to promote informed consent. The NVIC says it offers neutral, evidence-based information about vaccines, but its website has many stories about vaccine-damaged children and the “harassment” of parents for making “informed vaccine choices”. Faced with online propaganda, the response of public health officials has been to double down on positive vaccine messages. The problem with this strategy is that it sidesteps an uncomfortable truth about vaccine science: namely, that there is a lot that vaccinologists still don’t know about vaccines and their interaction with our immune systems. It also fails to address the rare cases where vaccines fail or cause harm. A good example is the Philippines where there is a surge in measles cases sparked by distrust of government immunisation programmes due to the 2017 admission by Sanofi Pasteur that its dengue vaccine, Dengvaxia, could provoke a much more severe form of illness in people who had never had dengue but who later became infected after vaccination. Another is GlaxoSmithKline’s Pandemrix vaccine, which was rolled out across Europe during the 2009 swine flu pandemic, only to be withdrawn when it was found that it was associated with a 14-fold increase in the risk of narcolepsy in children. Although the studywas published in the BMJ – hardly a bastion of anti-vaxxers - and the British government agreed to compensate families under its vaccine-damage scheme, few journalists covered the story, it is speculated, for fear of being accused of fuelling vaccine hesitancy. Medical researchers have faced similar pushback from colleagues for daring to question the effectiveness of flu vaccines. This is despite the fact that, even in a good year, these vaccines are at best 60% effective, and in some years, such as the 2004-5 flu season, their efficacy can be as low as 10%. One reason for this is the difficulty of matching the viruses used in flu vaccines with the dominant virus strains that emerge during the northern hemisphere winter. Another is that the technology for manufacturing flu vaccines is very old and still imperfectly understood. Most flu vaccines are made by cultivating the influenza virus in chick eggs, a technology that dates back to the 1930s. The egg-adapted virus is then purified and inactivated, before being produced in bulk – a process that takes about six months. But a 2017 study found that vaccine viruses grown in chick eggs may acquire different antigens to those of naturally circulating strains, reducing their ability to trigger a strong immune response. This may be one reason a 2018 meta-analysis by the Cochrane collaboration found that, on average, you would need to vaccinate 71 healthy people to prevent one case of flu. To those who may dislike having a needle stuck in their arm or have read on the internet that the flu jab can make you “sicker than the disease”, that may not sound like a great ratio. But what if next year’s flu turned out to be a major killer, like the so-called Spanish influenza pandemic that swept the globe in 1918-19? On that occasion, there were no vaccines or antibiotics, and more than 50m people died. A technology that could reduce a catastrophe on that scale, even marginally, should be welcomed, not deprecated. Rather than playing into the hands of anti-vaxxers, wouldn’t it be better for vaccine scientists to show a little humility and admit the gaps in their knowledge? Doing so need not detract from the message that vaccines like MMR prevent thousands of measles deaths around the globe annually, or that the oral polio vaccine means that moms from Pittsburgh to Peshawar need no longer fear that their children will grow up crippled. 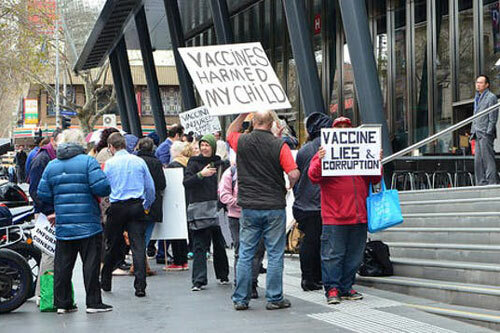 In admitting that vaccines are sometimes associated with harm but pointing out that the harms outweigh the risks, scientists stand to regain the trust of a public who have become easy prey for the pseudo-scientific claims of anti-vaxxers. To admit that vaccinology is an imperfect science is not a sign of weakness, but of strength. Think of it as an inoculation against ignorance.